2018 - A year of opportunity. It's true. This new year is, and should be viewed as an opportune year. There are many things to be thankful for including the continued ability to prepare and stockpile and train and learn. In many areas of the US the economy is doing extremely well and there is nary a sign of financial trouble to the most individuals. Real Estate values keep going up along with the stock market and people are feeling good and spending money. Commercial and industrial construction continues to boom in my area and it is hard to find good people to hire. Constructions projects are behind schedule and over budget because of the lack or workers and the high demand for contractors services. It's actually too good to wrap my head around. There's too much exuberance and people are overly confident if you ask me. Money (currency) is being spent freely and irresponsibly. Might as well take advantage of it while you can, right? The answer for me is yes. I'm gonna use this year to do as much business as possible. To take advantage of every opportunity I can find and make and save as much money as I possibly can. I hope those of you who find yourselves reading this blog post are not the ones freely and irresponsibly spending. I hope you are using your hard earned money on what ever will sustain you through the next hard times while saving as much as possible. There will soon come a time when it will become impossible, or nearly impossible, to further build your stockpile of supplies. It will be brought about by financial turmoil or a full on collapse and everything else that comes along with it. Being unable to prepare could be caused by job loss or the lack of stuff to buy due to the supply chain breakdown that come with the credit markets freezing up. Fortunately that time has not yet come and there is still time to prepare. Just like during the last economic downturn, during this next crash there will be a time to buy too. If you save up now you'll be able to buy a whole lot more during the next crash. What you buy is of course entirely up to you. As for me that will be the time when I will purchase my homestead property with as much farm land as I can afford. This next collapse will be far worse than the last thus the deals you will be able to find will be far better. It will be your best opportunity to secure your financial future. This year could bring that opportunity if you are ready for it. I'm sure that you are aware of our "just in time" retail system. This especially applies to food industries. When a retail store such as a grocery store is running low on products the order is automatically sent to their distributor. The distributors system works the same way. When the distribution warehouse is running low on a particular inventory item it is automatically ordered from the manufacturer. The manufacturers' system works the same way. When they are low on a particular ingredient it is automatically ordered from their supplier. That supplier too has a supply chain from where it comes out of the ground, through their process, and then on to the buyer. This process is so incredibly tight in many instances that factories work around the clock in order to keep this cycle from being interrupted and get product delivered to the distribution center just in time for it to be trucked to the grocery store just in time to stock up the shelves up for the next morning. There are exceptions of course but not when it comes to fresh food, meats, dairy, and the like. Anything more than a minor hiccup in this system can cause major delays. Every step of each part of each and every system is so tightly and proudly managed in order to keep everything running smooth and arriving where it needs to just in time. Sounds like a disaster in the making if you ask me. Picture that each and every one of these steps involves using the banking system and a line of credit to pay for everything. 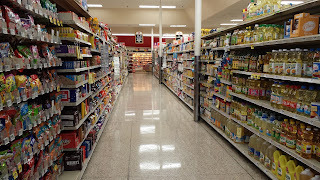 The grocery store has to pay the distribution center, the distribution center has to pay the manufacturers, and the manufacturers have to pay for their supplies, and on, and on. Now, imagine that there is a trucking or fuel issue, a natural disaster, or a financial issue that interrupts any of these steps. Picture yet again that most, over 50% ,of Americans,have less than 3 days worth of food in their cupboards and even a greater percentage, perhaps 70%+ have less than a weeks worth of food in their home. During a normal week it is estimated that most grocery stores would run out of most of the essential foodstuffs within three days. If there is an "event" that causes people to panic store shelves typically become bare within hours. Grocery store shelves are full! Food storage items are plentiful. Take the opportunity this year to build your food storage and buy what you need to sustain life, long term. That is what that long explanation about our on demand, just in time, society above was hopefully motivating you to do. 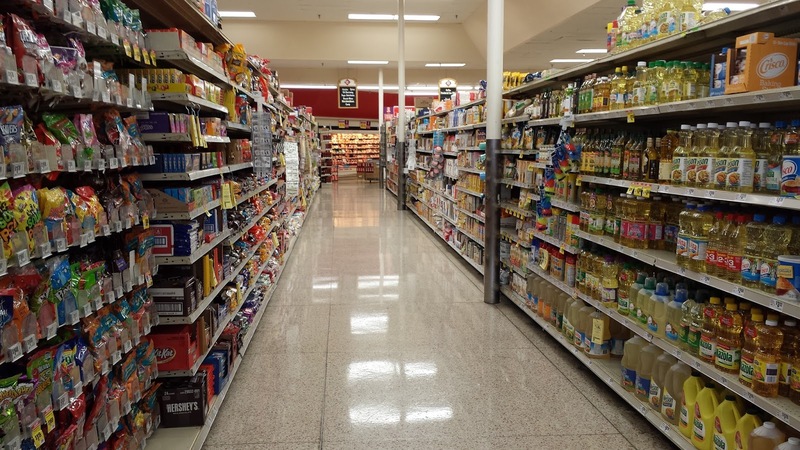 Grocery stores are the perfect example but it exists with most everything your buy. Make food and water storage your number one priority. Take the opportunity this year to purchase a firearm or two, and plenty of ammunition for them, if you haven't already. This ability could change at any moment with the next event. We know those who would rule over us want nothing more than to take them away from us. To make up helpless and vulnerable, subject to their whims. Don't willingly give your freedoms away, ever. Including the God given right to defend ourselves. Take the opportunity this year to pay off your debts and not burden yourselves with even one more dollar of debt! Don't do it! If you realize that debt is a tool to enslave us you'll do everything you can to avoid and get out of it. Don't think that if the big banks can wipe out their debts in a collapse that they'll allow us to. Take the opportunity this year to be a better person. You know and are aware of what you are capable of, so just do it. Be an inspiration and example for your family and friends. Let your light shine and you will be blessed and rewarded for it. Stand firm for what you know to be good, and true, and right. I could make this list much longer. This is already a handful but don't stop here if you've made good progress. You know what you need to do next. Stay anxiously engaged. There isn't much time left to prepare for what comes next. I don't know exactly what that is, when, or how it is going to play out but I think I have a pretty good idea. Financial collapse including the stock and bond markets. Right is wrong, good is bad, evil is good. Beware of deception. Increased turmoil in the world. Major wars and conflicts. Additional loss of rights and freedoms. Be vigilant. Gold and silver prices skyrocketing. Get some now. Deflation of real estate prices and other assets. These are the primary issues on my mind this year. There are many more possibilities including the black swans that will inevitably be revealed. I feel blessed to have more time and the conditions this year in which we are still able to prepare. It won't always be this way.